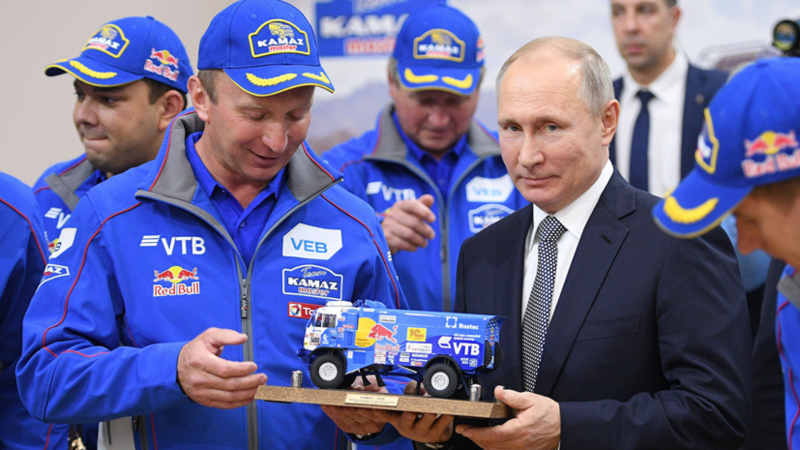 Russian President Vladimir Putin expressed his opinion on the disqualification of the crew of the KamAZ-master team led by Andrei Karginov from the 2019 Dakar Rally. “At some point, I had to worry when one of the crews was shot. I do not think it was a fair decision. This was most likely due to the fact that one of the leaders could simply be taken off the run, ”RIA Novosti cites Putin’s words. During the fifth stage of “Dakar” on the special stage between the Peruvian cities of Tacna and Arequipa on one of the difficult climbs a large number of spectators settled down. Karginov tried to overcome the rise and drive around people. When the audience began to scatter, one of them stumbled, and his foot fell under the back wheel of the truck. The pilot himself found out about what happened only on arrival at the bivouac. Following the incident, the crew of Karginova was disqualified. Earlier it was reported that Anastasia Nifontova announced its intention to take part in the Dakar Rally in 2020.